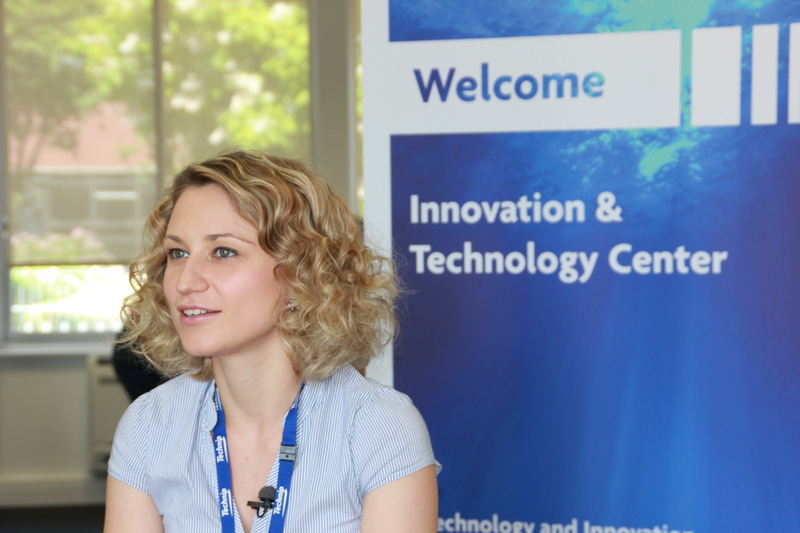 Christina Tzotzi is a Flow Assurance R&D Engineer, working in the Advanced Subsea Architectures section at the Technip Innovation & Technology Center. She has a Chemical Engineering Diploma from the Aristotle University of Greece, a Master of Science in State-of-the-Art Design and Analysis Methods in Industry and a PhD from Mechanical Engineering Department (University of Thessaly, Greece). In addition she was a Postdoctoral Fellow at IFPEN in multi-phase flow modeling development and a member of the Expert Network of Technip since January 2015. In recognition of her outstanding achievements to date Christina won the 2015 award for the ‘R&D Woman of the Year’ organized by the journal ‘Usine Nouvelle’ in France. She shares here her perspective of working for a company that is committed to Gender Diversity. Assessment and certification programs like EDGE aim to ensure that women are given every opportunity to progress and reach their full potential. How does this commitment by Technip impact on how you feel about opportunities with the company? During the 4 years that I have been working at Technip, I have never faced any issues regarding the opportunities given to me due to either my nationality or my gender. On the contrary, I believe that I have always had the same chances as my colleagues concerning new opportunities and leading positions. However, I am very pleased to know that Technip is making this commitment, proving that my experience is not personal and team/manager dependent and that it represents the vision and culture of the Group. In any case, I think that it is important to show externally, but also internally, that the commitment is supported by tangible facts, measurements and action plans. Do you believe that receiving EDGE certification represents a competitive advantage for Technip? Yes – I personally believe so. 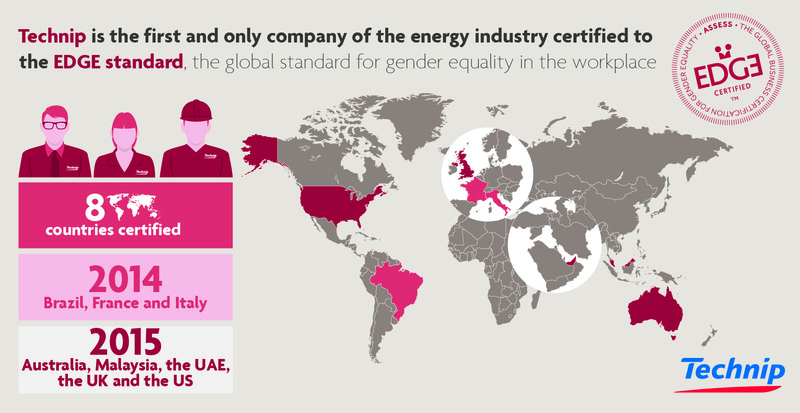 Receiving EDGE certification shows that the efforts made in terms of gender diversity are recognized. Moreover, for people outside Technip, it is an independent indicator which proves that the group’s spirit and strategy when it comes to gender diversity is turned into a real business case. 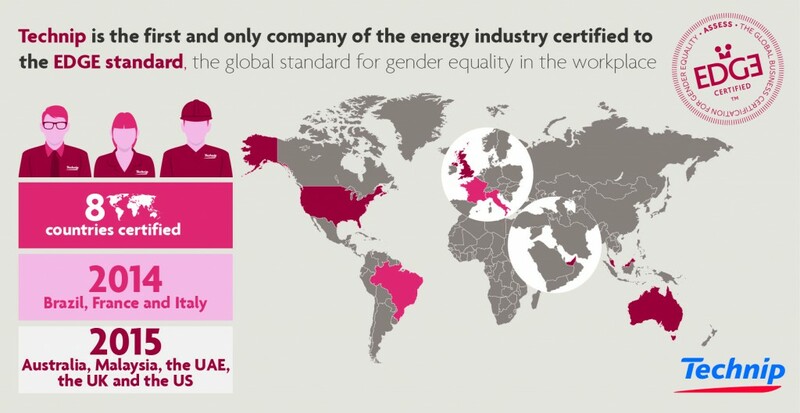 Technip has made it clear that Gender Diversity is at the core of its business strategy. What message would you like to send to men and women seeking to start and develop a career at Technip? Joining Technip is the opportunity to begin a great journey and people wishing to be part of this company should not have any doubts regarding the equal opportunities they will be given. Whether they are men or women, the only differentiating factor will be their personal performance, motivation and inspiration.